Shopping for a new Mercedes-Benz S Class? Familiarize yourself with the S-Class’s Intelligent Drive system and how each of its active safety features works. It could prevent an accident. The 2018 Mercedes-Benz S-Class is the full-size flagship of the brand and the car against which other luxury vehicles are measured. This generation made its debut for the 2014 model year and for 2018 it gets an update that includes 6,500 new parts, not including three new engines. 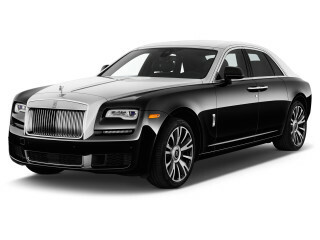 It returns just as a sedan for the time being, with V-6, V-8, and V-12 power. The coupe and cabriolet (convertible) body styles will have to wait momentarily, as will the plug-in hybrid. Exterior changes for 2018 are minor. They include new front and rear bumpers, a new grille with Maybach or AMG lettering for the appropriate models, and new intelligent wide-beam LED headlights. The AMG models also have a jet-wing lower front fascia with large air intakes and a rear diffuser insert and quad exhaust outlets. Under the hood, the S-Class gets a new V-6, two new V-8s, and a carry-over V-12. The base engine is a 3.0-liter twin-turbo V-6 in S450 models. The new S560 models feature a 463-horsepower twin-turbo 4.0-liter V-8. A rowdier version of that engine is found in the AMG S63 model, where it makes 603 hp. The returning twin-turbo 6.0-liter V-12 in the S65 spins out 621 hp and 738 pound-feet of torque. The V-6 and V-8s use a 9-speed automatic transmission, and the version in the S63 has a wet starter clutch instead of a torque converter. A 7-speed automatic is paired to the V-12. The S63 also gets the new 4Matic+ all-wheel-drive system that can vary power front to rear continuously and completely. A four-corner air-suspension with adaptive dampers is the standard suspension for the S-Class, but buyers can choose the Magic Ride Control system that switches to steel springs and active hydraulics. For 2018, it adds a curve tilting function that tilts the car 2.65 degrees inward in corners to fight gravity. 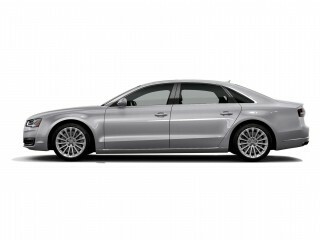 This improves passengers’ comfort and makes this big car feel sportier. Inside, the S-Class has two 12.3-inch screens, now with higher definition, one for the instrument cluster and the other for infotainment, to form one big screen. A new Energizing Comfort system utilizes the climate control, seat heaters/coolers, seat massagers, music, ambient lighting, and fragrance diffusion system to create five 10-minute programs aimed at helping the driver relax. Not that the S-Class didn’t let occupants relax already. It has great space, comes loaded with features, and offers options that border on opulence, including massaging and heated and cooled front and rear seats, rear entertainment, a rear-seat refrigerator, and two executive rear seating packages that include airline-like tables and a right-side footrest. On the technology front, the S-Class’ Intelligent Drive suite of Level 2 autonomous driving features is upgraded with improved cameras and radar sensors and greater use of map and GPS data. This system, which can brake, steer, and control speed for you, now slows down for tight turns and junctions, and changes lanes automatically after you activate the turn signal. Combined with a full suite of active safety features, Intelligent Drive likely makes the S-Class one of the safest cars on the road. Unfortunately, as a low-volume, high-priced luxury car, the S-Class doesn’t have the crash-test data to back up that statement. 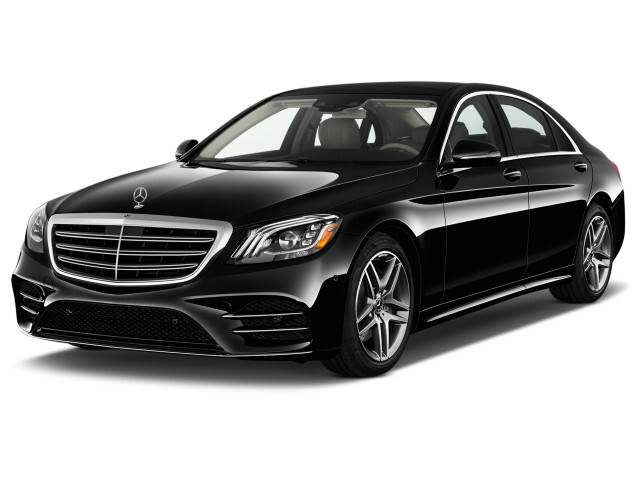 The S-Class exudes elegance and a touch of athleticism on the outside, while the interior is replete with modern luxury that combines warm furnishings and high-tech controls. As the flagship of the lineup, the Mercedes-Benz S-Class not only has to carry all of the elegance and class that makes it a benchmark for luxury, but also it has to set the tone for the overall design language and styling details that trickle down the lineup. The S-Class lineup usually includes sedans, coupes, convertibles, and limousines, but for the start of 2018 the sedan is the only body style. The sedan is the basis for the lineup, though, and the 2018 model gets a few tweaks that keep the same basic design that launched for the 2014 model year. The front and rear bumpers are updated, as are the headlights and taillights. The headlights are wide-beam intelligent LEDs with three prominent brows that define the inner edges. All models now get the grille that was used on V-12 models. It has three twin louvers and a gloss black finish; the AMG or Maybach logo is added for those models. The S63 has a jet-wing-style lower fascia with large air intakes up front, and at the back it features a diffuser insert between quad exhaust outlets. The overall look blends the formal appearance of past S-Class models with elegance, athleticism, and modernism that affirms the technology within. This generation of S-Class is eye-catching, highlighted by the swoopy and curvaceous roofline that tapers into a sleek, smooth tail. The sporty effect is still more tour golfer than beach volleyballer. However, when used on smaller cars like the C-Class, the athleticism is more apparent. The cabin features a clean, flowing, horizontal layout that is dominated by a pair of 12.3-inch screens joined under one piece of glass. The lines of the dashboard flow into the doors and continue around the driver and front passenger. The look is a blend of tech and formal elegance, with a digital gauge cluster and a large infotainment screen offset by wood or carbon fiber, aluminum, stitched leather, and synthetic suede. With so many functions to control, Mercedes foregoes individual buttons and provides the central COMAND dial and touch controls on the steering wheel. It’s all high-tech, functional, and visually uncluttered. The 2018 S-Class approaches the road with quiet dignity, accelerating effortlessly, riding like a dream, and doing its best to counteract its weight and size through turns. While the 2018 Mercedes-Benz S-Class is big and heavy, Mercedes outfits it with some features to counteract some of the ungainliness that afflicts large cars. Nonetheless, it is too big to offer the feel and agility of the brand’s smaller vehicles. Power, however, is not an issue, and the S-Class is plenty quick in a straight line. And, of course, the ride is sublime. The 2018 S-Class lineup gets three new engines, two of which we have sampled. The base S450 is powered by a twin-turbocharged 3.0-liter V-6, the S560 models have a twin-turbo 4.0-liter V-8 that makes 469 horsepower and 516 pound-feet of torque, and the S63 features a higher output version of the 4.0-liter that makes 603 hp and 664 lb-ft of torque. The S65 has a twin-turbo 6.0-liter V-12 churning out 621 hp and 738 lb-ft of torque. We’ve driven the 3.0-liter V-6 in the S450 and the two 4.0-liter engines, all of which are backed by 9-speed automatic transmissions; the version in the S63 replaces a torque converter with a wet starter clutch that Mercedes says saves weight and improves response to throttle inputs. Every variant of the S-Class moves with quiet dignity. Don't let its "entry-level" status discourage; the S450 is a smooth, silent performer with ample power. The S560 provides even more thrust, but it's hard to imagine anyone who would find the S450 lacking. In the non-AMG variants, the 9-speed shifts smoothly, even in Sport mode, running the car effortlessly from 0 to 60 mph in just 4.8 seconds. The engine is muted but lets out a low rumble during hard acceleration. The S63 and S65 AMG models are the true performers of the lineup. The S63’s smaller 4.0-liter V-8 outperforms the twin-turbo 5.5-liter V-8 in the outgoing model, making 26 more horsepower and cutting the 0-60 mph time from 3.9 to 3.5 seconds. It’s still smooth, but it can pin you back in your seat, and the shifts can be felt in Sport+ mode. The 621-hp S65 AMG isn’t quite as quick. That's because it can’t get the power down as well with only rear-drive. The way the power builds feels like a jet during takeoff. The base suspension includes adaptive dampers and air springs at all four corners. The dampers do a great job of filtering out road imperfections and the springs do their best to keep this big, heavy car stable. Still, it is prone to a bit of body lean. That can be mitigated with the Magic Body Control system, which switches to steel springs and active hydraulics and adds a Curve tilting function this year. This function tilts the car 2.65 degrees inward in a corner to counteract the G forces acting on the car in a turn. It keeps the car flatter, creating a sportier feel and making occupants more comfortable. Even with this feature, the S-Class is too big to respond to quick changes of direction like the company’s smaller sport sedans. The S-Class’s cabin is the benchmark for the industry, and for customers it offers great space, fine detail, excellent fit and finish, and premier comfort front or back. Energizing Comfort uses the climate control, seat heaters/coolers, seat massagers, music, ambient lighting, and fragrance diffusion system to create five different programs that range from cool and plucky to warm and calming. It also includes three Training programs that use the seat massagers to work on tired muscle groups. The programs have names like Joy and Well-being and they run for 10 minutes. It’s a novelty to play with them to see what they will do, but owners will likely settle into finding the program that best helps them relax after a stressful day. That’s a good thing. Not that getting into the S-Class shouldn’t be enough. Buyers can pick from an array of lacquered and open pore wood trims, carbon fiber, and a variety of supple leathers. The leather extends to areas of the dash, and soft-touch materials, high-quality wood or metal surfaces are found anywhere the hand may roam. The superb front seats have wide, long cushions and plenty of adjustability. We find them cosseting, riding the fine line between plush and supportive. The back seat is spacious and comfortable as well, and it can become the better place to be with the right options. Among those options are two-position bucket seats, massaging seats, rear entertainment, a rear-seat refrigerator, and a pair of Executive Rear Seat packages that add such features as reclining rear seats (up to 43 degrees) with fold-out footrests, a central console with laptop trays, and heated armrests. With these packages, the front passenger seat moves far forward and its headrest can be removed with the seat back reclined, forming a chaise-style lounge nap space. A big car, the S-Class also has a large trunk, as well as a split-folding rear seat with pass-through to the trunk. Few cars come close to offering the range of active safety features that the S-Class does, but it hasn’t proven that it’s safe in the crash labs. The 2018 Mercedes-Benz S-Class comes standard with eight airbags, including rear side airbags, inflatable rear seat belts, adaptive head restraints, adaptive brake lights, and a Pre-Safe system that locks the doors, tightens the belts and prepares the brakes for full-force application if it detects an imminent collision. Mercedes’ Intelligent Drive is its Level 2 autonomous driving system that uses several active safety features. It can brake, steer, and apply the throttle for you, provided the lane lines are clearly marked and the turns don’t get too tight. It gets improved cameras and radar sensors this year, and it incorporates more map and GPS data. The system combines forward collision warnings with automatic emergency braking, active lane control, adaptive cruise control with following and steering ability, an automatic parking feature, the ability to recognize speed limits, a lane change feature, and blind-spot monitors. The map data lets Intelligent Drive slow down for twists and turns, as well as all types of junctions, and the speed it chooses depends on if you are in Comfort or Sport mode. This system works fairly well for stop-and-go traffic, taking some of the stress out of that situation, but we prefer to take control of the wheel when the driving gets more interesting, like on a canyon road. The S-Class also offers a surround-view camera system, and a night vision camera with obstacle and pedestrian detection. The price of entry is high, but the equipment is generous and Mercedes continues to come up with new indulgences to make the S-Class a relaxing environment. The 2018 Mercedes-Benz S-Class lineup has been pared down for now. 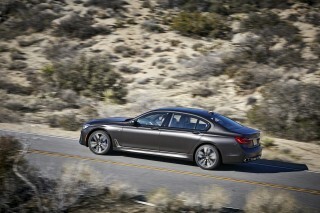 Once a variety of sedans, coupes, cabriolets, and a plug-in hybrid, the lineup now is all sedans. The S-Class is offered as the V-6-powered S450 and S450 4Matic, V-8-powered S560 4Matic and ultra-luxury Mercedes-Maybach S560 4Matic, and high-performance Mercedes-AMG S63 4Matic+ models. 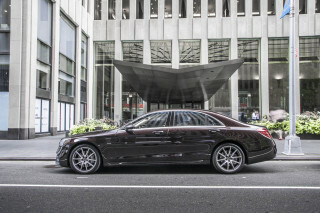 Later, it was joined by the rear-drive S560, and two V-12 models, the AMG S65 and the Maybach S650. While pricing is high—right around six figures to start—all models come loaded to the hilt with features, and Mercedes makes available a variety of options. Standard equipment on the base model include power front seats, leather upholstery, a 10-speaker Harman audio system, HD radio, satellite radio, Apple CarPlay and Android Auto compatibility, Bluetooth, USB connectivity, an SD card slot, the Energizing Comfort system, ambient lighting with 64 colors, intelligent LED headlights with wide beams, and 18-inch alloy wheels. 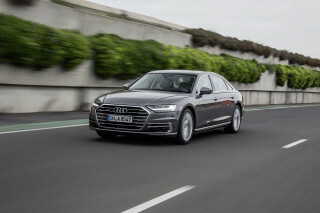 Also standard is the COMAND infotainment system with a pair of 12.3-inch dashboard screens, navigation, and the mbrace2 mobile connectivity system that allows owners to connect to Pandora, Facebook, voice-to-text email and text messages, and other features. It includes five years of service and a mobile app, web services, diagnostics data, and a roadside connection. The AMG models get a sport version of the air suspension, a lighter weight lithium-ion battery, forged alloy 20-inch wheels, a performance exhaust system, speed-sensitive steering, larger brakes with six-piston front calipers, multi-contour sport seats, an AMG steering wheel, and three-stage electronic stability control with on, off, and sport settings. Maybachs add 20-inch wheels, rear Executive seating with a 43-degree recline and power calf rests for both outboard positions, extended ambient lighting in the rear, extended leather upholstery, a wood and leather steering wheel, and the Magic Body Control system. Options consists of Magic Body Control that adds a Curve tilting function this year, a 24-speaker Burmester 3-D surround sound system, a mid-level Burmester sound system with standard surround sound, a Magic Sky Control panoramic sunroof that can be adjusted for opacity front and rear, a head-up display, massaging front and rear seats, heated and cooled front and rear seats, rear entertainment, a rear-seat refrigerator, and two Executive Rear Seat packages that include airline-like tables and a right-side footrest. Buyers can also choose from a variety of upholsteries and trims, including the Designo series. AMG models are available with carbon ceramic brakes. A big, heavy car, fuel economy is not a priority for the 2018 Mercedes-Benz S-Class, but the new engines are more efficient than those they replace. The 2018 gets two new engines. 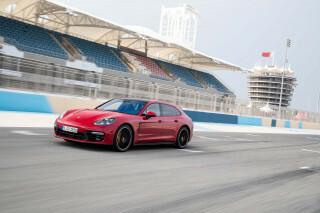 Both are twin-turbocharged 4.0-liter V-8s with cylinder deactivation to save fuel during light load conditions. The S63 with all-wheel drive improves from last year's model and is rated at 17/26/20 mpg. 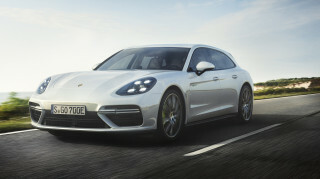 A plug-in hybrid model will return and it should improve upon the 12 miles of range of the last version. The S450's turbocharged V-6 is rated at 19/28/22 mpg when equipped with rear-wheel drive, or 18/28/22 mpg when equipped with all-wheel drive. Mercedes will soon offer a twin-turbocharged inline-6 with a 48-volt mild hybrid system. This engine is available overseas, but we don’t get it in the U.S. It should arrive in a year or two.